Working remotely or working from home is great, but if you’re always working remotely, it might be difficult to remain focused and get all of your work done. While many people find working from home relaxing, exciting, and fun, some days it can be a real grind. If you can make home-working work for you, however, you will be relaxed, happy, and productive. This is the perfect combination to keep your employer happy, too. 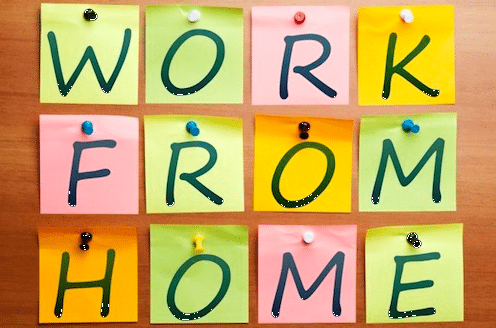 Something to do is consider whether you really need to work at home rather than simply working remotely. If you are not tied to a location, it can be fun to change it. Variety is the spice of life and it can be interesting and refreshing to work in a new environment. Even if you can’t leave your home, you can work in a different room or change your environment to keep your stimulation levels up. Work inside a café or coffee shop for the afternoon or morning. Visit the library in your area to do some research or to do some work. Does working from home mean that you can’t ever pop into the office? Visit your local company office if there is one and engage with colleagues you have not seen for a while. Working from home doesn’t have to mean working alone. Talk to those around you or use Skype to connect with colleagues, bounce ideas off someone else, or simply discuss things on your mind. If part of the reason you choose to work remotely was to set up your own schedule, remember to make time for yourself now that you’re in the swing of things. Take regular breaks. At least once a day, thinking about heading out of your home office and taking a walk or a jog. If it is too cold or rainy, you could even visit the gym for a workout or grab a coffee from a favorite coffee shop. This is your schedule. However, do not do any chores. It’s break time. Have some action figures on the desk to play with. Nobody’s looking. Listen to a podcast on something you want to learn more about and is interesting for your business. Sign up for a course online to enhance your skills and your achievements. Working from home is not for anyone. It takes a lot of dedication, self-control and discipline. It would be best to report into the office once or twice a week as it allows for close interaction with your colleagues and ensures you remain in touch with company developments while still enjoying the convenience of working from home.